You may have thought cola wars had fizzled out – with every possible variety having now been invented. However, Pepsi is reopening hostilities by launching a new “healthy” option.Pepsi Raw is said to be made from natural ingredients and contains no artificial preservatives, colours, flavourings or sweeteners. Traditional Pepsi contains fructose corn syrup, sugar, artificial colourings, phosphoric acid, caffeine, citric acid and natural flavours. In comparison, Pepsi Raw has only natural ingredients including apple extract, plain caramel colouring, coffee leaf, tantaric acid from grapes, gum arabic from acacia trees, cane sugar and sparkling water. It is paler in colour and less fizzy than other cola brands. By replacing corn syrup with cane sugar, Pepsi claims it has managed to reduce the calorie content of a 300ml bottle, from around 126 calories per serving to around 117 calories. Cutting the amount of sugar in the drink could also help prevent damage to teeth. 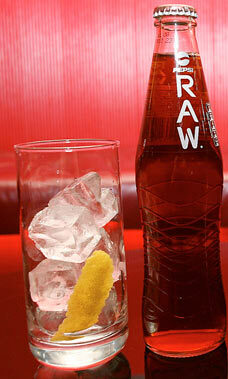 To begin with, Pepsi Raw will only be available in selected bars and clubs in seven cities – London, Manchester, Glasgow, Brighton, Birmingham, Leeds and Liverpool, although a wider roll-out is expected later in the year.